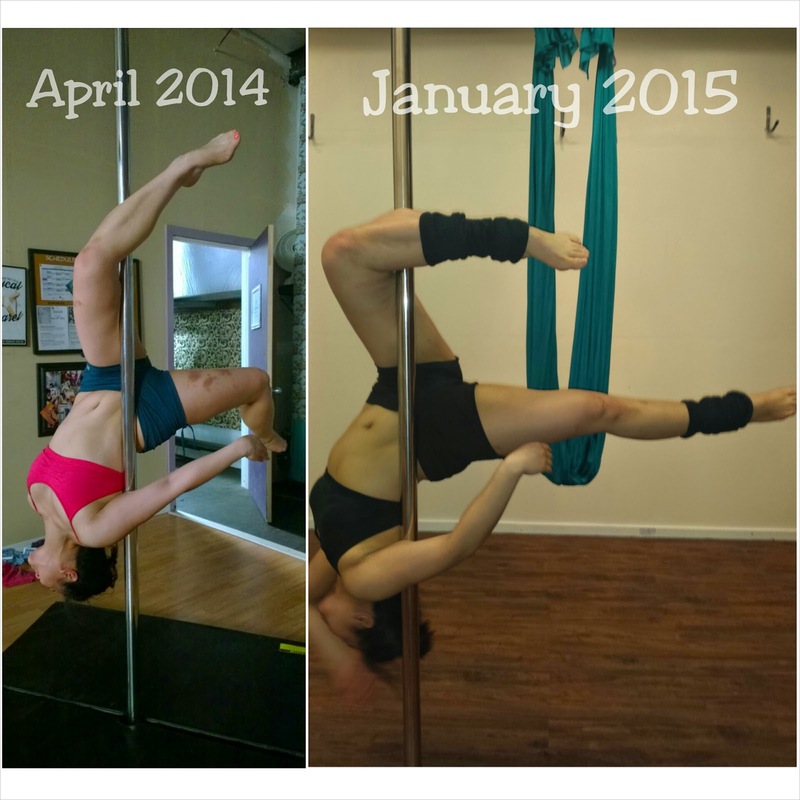 Exactly one year ago, I took my first ever pole dancing class at Pole Fitness Seattle and the rest is history. I saw the studio on Groupon with a deal and decided to try it, all on my own. It was probably the first activities I tried going to without a friend and it was one of the best decisions I have ever made. After my first Intro class, I had two instructors dance for my class, Emily (PFS owner) and Maggie (teacher in training) and my jaw literally dropped and that's when I thought, "I want to do that, and I want to be able to make other's react to me in that way" and from then, I was instantly hooked. My progress of the year has been exponential and there's still a lot of room for me to grow. 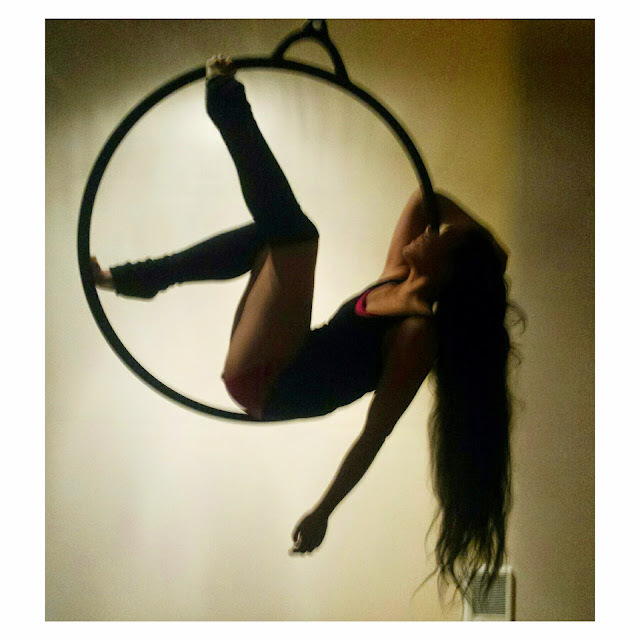 February to Mid-April: I started to take any class that I could including, Intermediate 1 (Climb & Spins 1), Stretch and flexibility and Pole flow (when available). I was extremely passionate about Pole and went to maybe a little too many classes. You're always hungry and wanting more, but don't overdo it! Listen to you body. If needs to rest, give it a few days to rest. Trust me. I maybe went a little too hard in between April and July and you could definitely see it in my bruising (pictured above). It wasn't until the end of June I was asked to be an instructor at Pole Fitness Seattle and I was ecstatic to be asked to be a part of their team! There's so much each instructor has to offer with different styles so I am always learning, which I love. 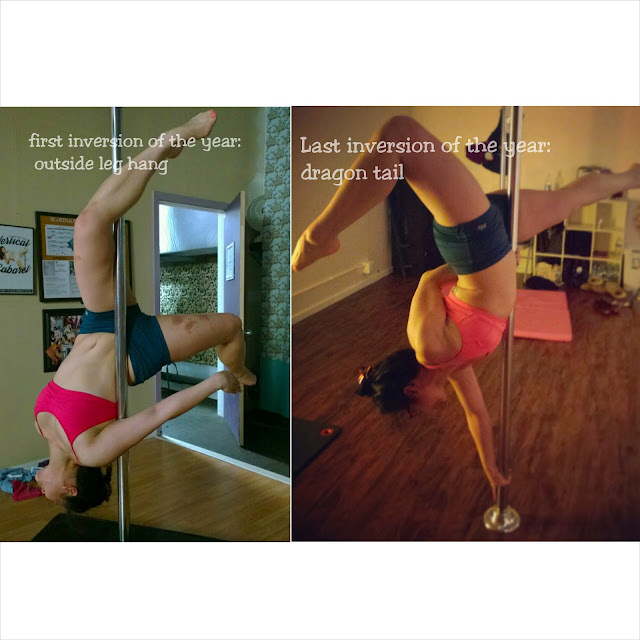 From June to December: I progressed in my Inversions and "tricks" list and even found some of my favorite types of moves (body gripping, elbow grips, different sits (Remi Sit). Even from the photo collage below, you can tell that I don't bruise as much anymore (thank goodness) and I definitely have a better understanding of hand/body grips and body placement in all moves. I am doing the exact same pose in both photos, an Outside Leg Hang a.k.a. a Gemini and the second photo I took on my 1 year Poleversary (today January 8th, 2015) and you can see the difference in my body positioning, which is all part of me understanding my body and body placement/gripping better. As a teacher, I find it very rewarding and love seeing students grow not only in their own skills but even in their self-confidence and being more comfortable in their dance. Teaching the Intro to Pole series is one of my favorites mainly because a lot of these students were in the same boat I was in, a completely different atmosphere trying out a completely new way of fitness. I also love seeing students progress in their first climb in Intermediate 1 (Climb & Spins 1). I remember how much of a challenge it was for me to climb for my first time - bruises, pain, and all - so when I see students conquering that first climb, it always makes me so thrilled! Another favorite is in the Freestyle/Creative Flow class, where you can see each students' individual style come out. It may take awhile to get there, but being able to see what a student can do creatively is always rewarding since now two students dance alike. PFS has definitely become a second home to me (literally too since I feel like I'm always at the studio!). I have even been able to get some of my friends to try it out. I would recommend at least trying pole fitness, even just one time, to anybody as a new and fun way of exercise. Don't knock it till you try it. If you don't like it, you don't have to go back! But if you never try it in the first place, you will never know. I hate going to the gyms and I've tried all the cross fit/boot camp trainings, yoga and hot yoga, and found that those types of workouts weren't for me so I wanted another way to get some physical exercise in. With Pole Fitness, I am in one of the best shapes I have ever been and my muscle definition is definitely at one of its peaks. 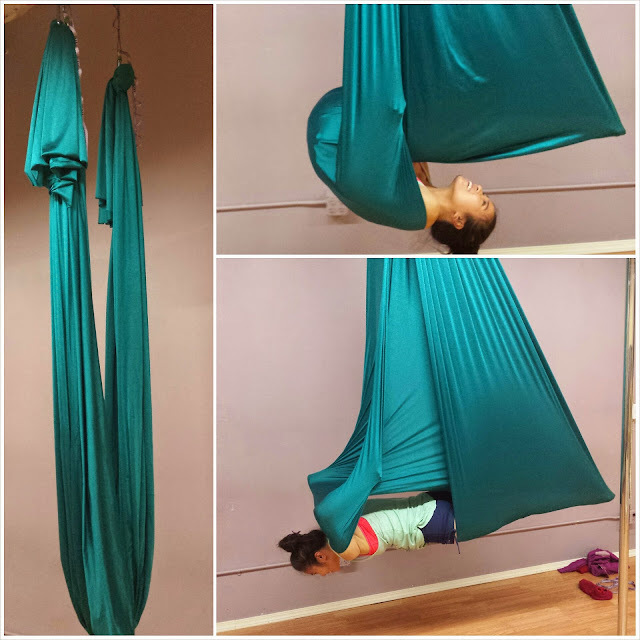 I've also been venturing in other apparatuses such as the Lyra (aerial hoop) and Aerial Hammock (for aerial yoga) that our studio just introduced. I'm slowly becoming obsessed with the Lyra and aerial yoga has such a different vibe compared to traditional yoga that traditional yoga and being able to use the hammock to invert and stretch just make it more fun! My PFS family is amazing and so are many of the students that are members (and non-members) at the studio. All of us have that same passion and drive to do more in pole and it is just fun to be around like-minded people that understand you! Sometimes, I talk a little too much about pole with my non-poling friends and I know it can be a bit dragging/annoying (haha). For this next year of pole, I have definite 'Pole Goals' and I hope to gain more flexibility all around. I hope to document more of my pole training either through photography or video recording so I can share even more of it to everyone. 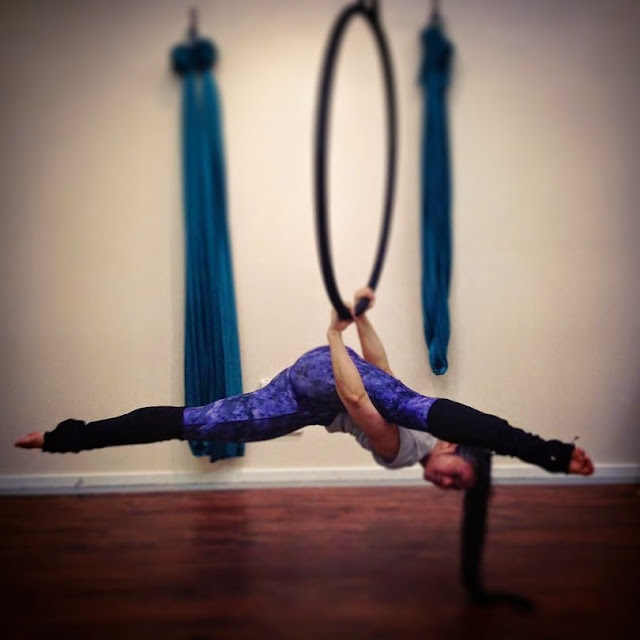 I also hope to increase my skill in the Lyra and be able to dance in it. 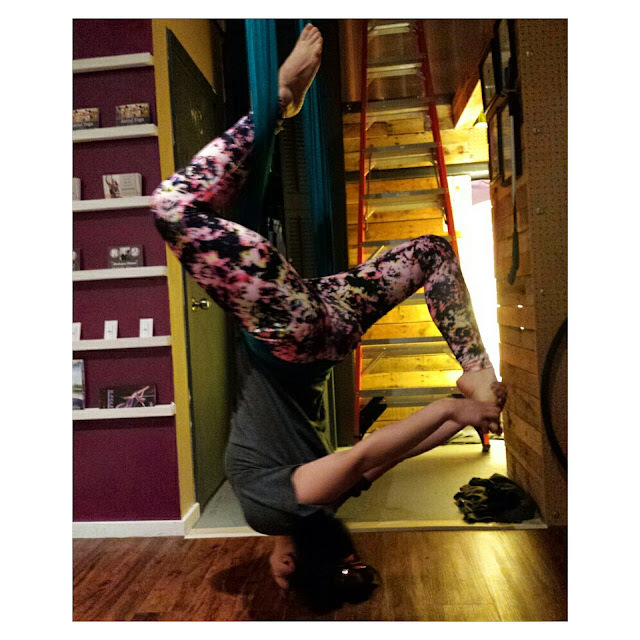 That's it for now--I'm hoping to do more update posts like these to share some Aerial Fitness progression! Readers, have you ever tried any form of Aerial Fitness? If so, what is your favorite kind? Let me know! Never tried pole fitness, but I really want to after reading your post! Did you know that you can create short links with Shortest and make cash from every visit to your shortened links.